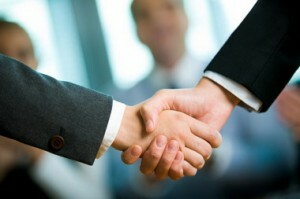 Choosing a Foreclosure Defense Attorney You Can Trust! In 2017, the clear choice for homeowners seeking assistance is hiring a foreclosure defense attorney. With the expiration of the HAMP loan modification program in 2016, most of the remaining “loan modification” companies have shut down. Frankly, most of them had already been eliminated by both state and federal legislation prohibiting “non-attorney” representation. So, your job is choosing a foreclosure defense attorney you can trust. These days, some of the law firms that are helping homeowners are loan modification processing centers operating under an attorney’s supervision. In these firms, the majority of the case work is performed by the attorney’s staff. Although the attorney has limited involvement in the process, these firms can be effective in negotiating a loan modification or other workout. This type of representation is most commonly referred to as “loss mitigation” representation. However, these “loan modification” law firms are not effective when actual attorney representation is required. That means that such a law firm would not be appropriate for a judicial foreclosure. So, how can you distinguish the difference between foreclosure defense attorney representation and a loan modification law firm? This guide will help you with choosing a foreclosure defense attorney or loss mitigation attorney that is appropriate for you. The first thing you should do is read the retainer agreement. Make sure you understand the scope of representation being offered. A foreclosure defense attorney retainer should include answering complaints. It should also include filing motions and counter-claims, and representing you at hearings and mediation. The loss mitigation agreements use a limited scope of service that does not include attorney appearances. In other words, they will not perform any functions beyond the basic functions of negotiating a loan modification with your lender. This becomes especially problematic in a judicial foreclosure state where foreclosures are handled through the court system. Lastly, make sure that the firm you are working with has an attorney that is both licensed to practice law in your state and in good standing with your state’s Bar Association. Legitimate foreclosure defense attorney representation will include answering complaints and motions, and filing counter-claims and motions. A foreclosure defense attorney should attend hearings and mediation on your behalf, and defend your rights and interests during the entire negotiation process. Make sure the law firm reviews your case before considering any agreement for services. An ethical foreclosure defense attorney will want to review the detailed facts of your case to assess its viability. In this way, your attorney can determine the likelihood of achieving success in reaching your desired outcome. 1.) Are you licensed to practice law in (your state) and in good standing with the state bar? 2.) 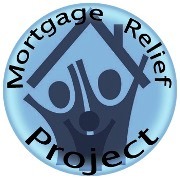 If my lender files for foreclosure through the court system, will you be answering the complaint and making an appearance on my behalf if necessary? 3.) Will you be responding to all matters involving the court, including timely filings of answers and motions? 4.) Will you appear on my behalf for any mediation hearings that I am required to attend? 5.) Will you fight to represent my interests until we have reached a lasting solution? 6.) Will you need to review my case information before making a decision to represent me? If the attorney you are considering can answer “yes” to all of these questions, you are likely speaking to a legitimate foreclosure defense attorney. These days, people need the best representation available when it comes to protecting their homes. Choosing the right foreclosure defense attorney can be the difference between keeping your home with affordable payments, and losing it to foreclosure.